I haven't been very crafty lately. And that bums me out. A couple weeks ago I was teaching, rather facilitating, an adult Sunday school class at church about happiness. We talked about happiness vs. being content. We talked about what makes us happy. Jumping rope with my kids. Old Thirtysomething and Judging Amy reruns. Landing the gig, whatever that might be. The color sea foam blue. Reading Dr. Seuss books in different accents and voices. Dancing at a wedding reception. What makes you happy? Take a minute and really think about it. I bet once you start thinking about a few things it will lead to a few more things and then you won't be able to stop. 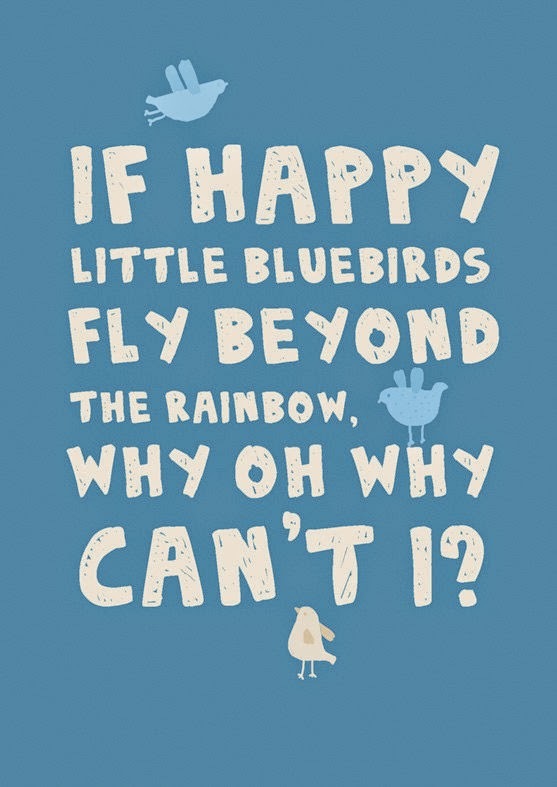 There are really so many things to be happy about. Little things and big things. 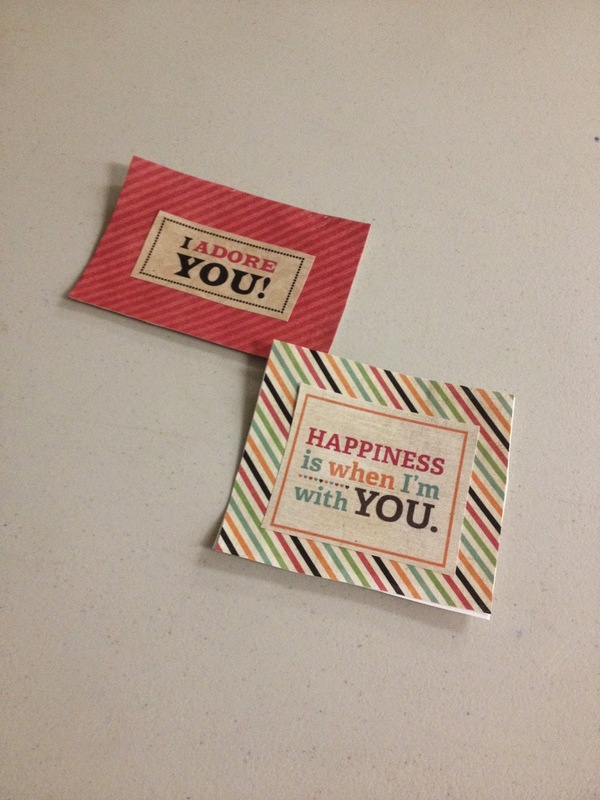 During that Sunday school class, I passed out little happy notes. We discussed the proven (by a lot of fancy studies) fact that being grateful and expressing that gratitude makes people happier. 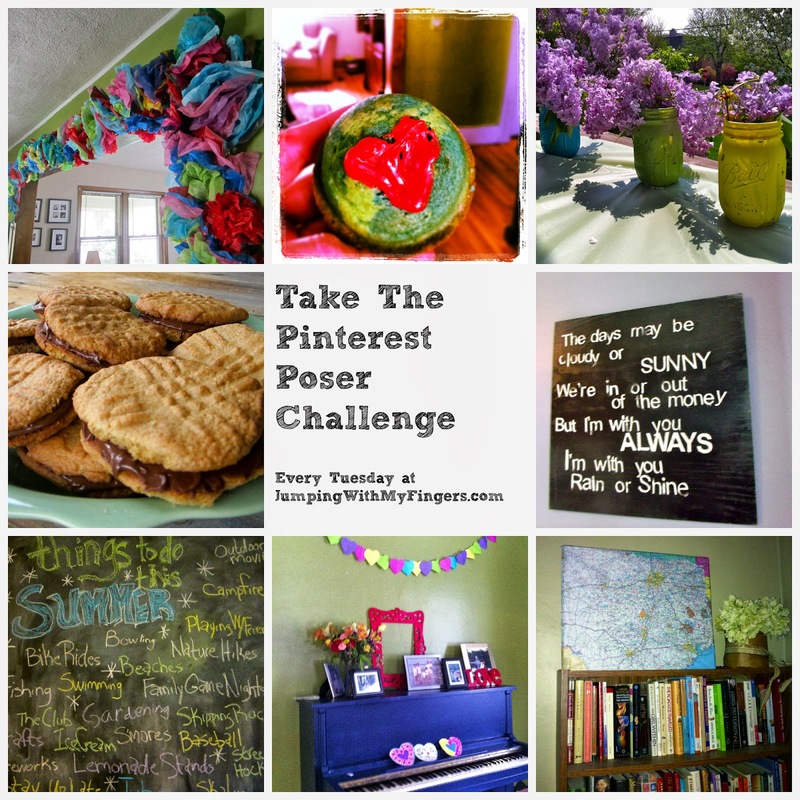 For this week's Pinterest Poser* I spread the joy. I cut out old scrapbook paper and poster board I already had. Then I Modpodged it all together and passed out the happy notes (similar to love notes except you aren't asking people to go with you). 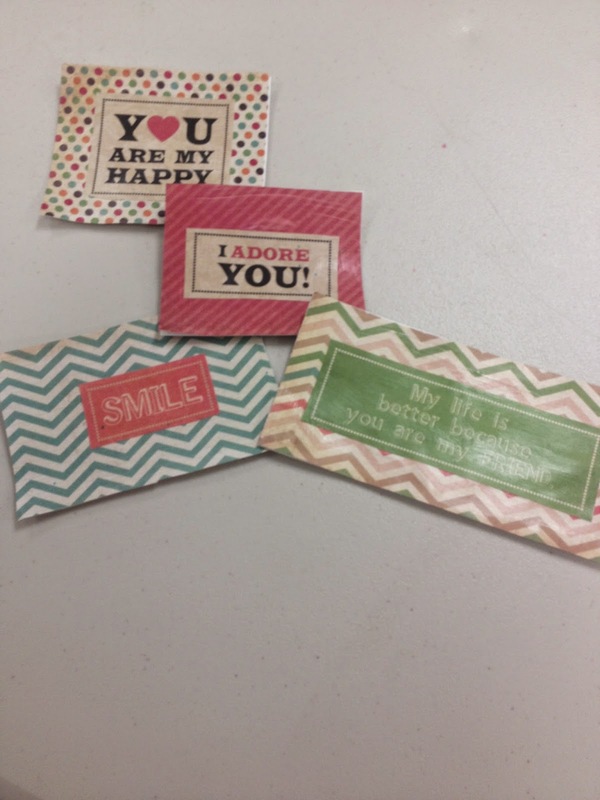 I suggested that people in my class spread the joy and share the homemade, far from perfect, happy cards with people. People at work, people at church, you know, people. Even people in your house. 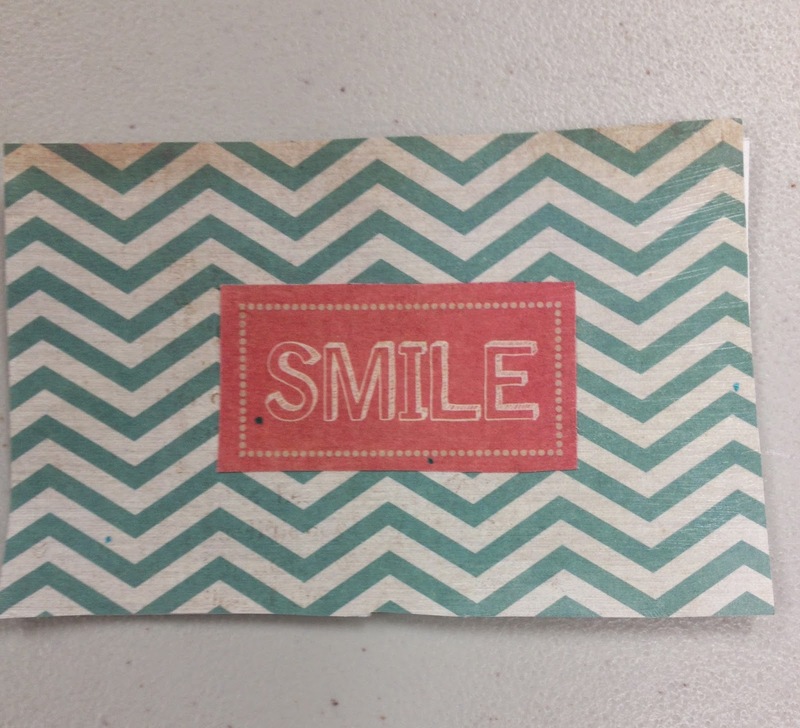 I suggested putting one of these happy notes in a child's lunch box. I asked Peyton how he would feel if I left one of these happy notes in his lunch. "I would rip it up," he told me matter-of-factly. Well, okay then, I get it. Tween boys aren't really keen on the happy/love note idea, at least a note from mom. So what about your elementary schooler? Or co-worker? Or spouse? G'head, spread the joy, spread the happy. Do not be afraid. Tell people how happy they make you. Guess what? 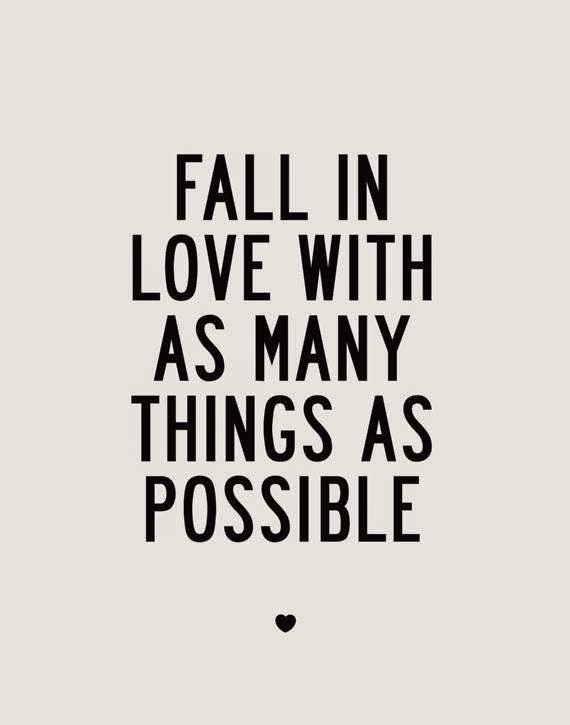 It will make you happier, I promise. I love those little notes! My kids would too.